Give them a gift they’ll never forget – experience Cape Cod on the water! Hy-Line gift certificates make a thoughtful gift for family or friends, to celebrate the holidays, anniversaries, birthdays, weddings and more! Hy-Line gift certificates are available in $25, $50, $100 or $150 denominations. Gift certificates can be redeemed for any of Hy-Line’s ferry services: Nantucket, Martha’s Vineyard, Hyannis Harbor Cruise, Deep-Sea Fishing and Cape Cod Canal Cruises, as well as parking in a Hy-Line (Hyannis) lot or an island bus tour. 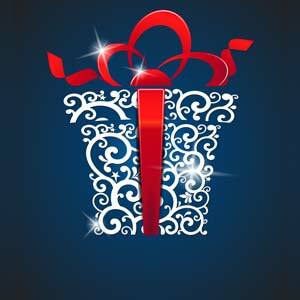 Your recipient will be able to apply their gift certificate towards any Hy-Line experience. Should they have a remaining value on their gift certificate, they will have a remaining unredeemed balance which can be applied towards another booking. If they use the certificate towards something of greater value, they will simply need to pay the difference in price. Gift certificates can be purchased online, in person at any of our ticket offices, or by phone at 1-800-492-8082. Online gift certificate purchases are delivered via email. We can email the certificate directly to your recipient or to you. Emailed gift certificates can be printed. Gift certificates purchased by phone can be mailed. Can I purchase a custom gift certificate amount (i.e. : $77, $118, etc.)? Yes. If you wish to order a gift certificate with a custom amount, please call us at 1-800-492-8082 and one of our ticket agents will be able to assist you. Can a reservation be made with a gift certificate? Yes, reservations are always recommended. They can be made in person, by phone at 1-800-492-8082 or online. Please refer to the voucher identification number on the gift certificate to apply payment. When placing a reservation online, please refer to the voucher number and apply as payment. When making a reservation by phone or in person, mention or show (in person) the voucher identification number found on the gift certificate to apply payment. Please note, without a reservation, we are unable to guarantee availability. Do you donate gift certificates to charity events or fundraisers?